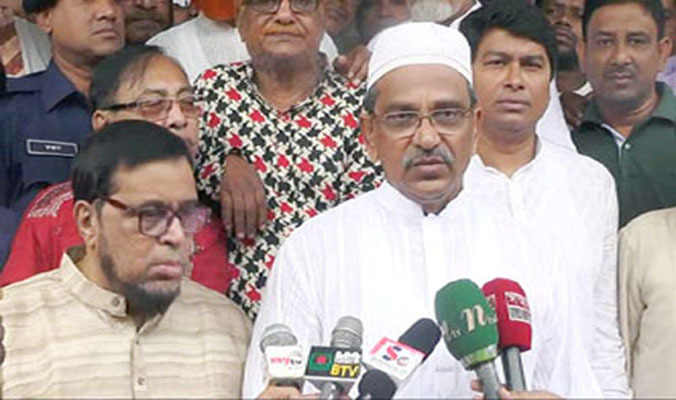 Awami League Joint General Secretary Mahbub-ul-Alam Hanif on Tuesday said a prisoner, who is convicted by the court, has no way to get release without pursuing the legal procedures. The ruling party leader came up with this remark while exchanging views with AL municipality and ward unit presidents and general secretaries at his Kushtia residence. “There is a second way that the convicted person can seek mercy through an application to the President. The convict could be freed if the President considers his or her application…There is no other provision to release,” Hanif told. He also said the leaders of BNP know that their chief Khaleda Zia embezzled money. “They are now trying to take another course bypassing the court as they would not be able to prove themselves innocent,” he added. He said BNP will not do the same mistake this time as they did during 10th parliament election. Hanif said it will be a suicidal decision if BNP does not take part in the upcoming national polls. Kushtia Zilla Parishad Chairman Rabiul Islam, AL town unit President Taizal Ali Khan, General Secretary Ataur Rahman Ata, among others, were present in the meeting.